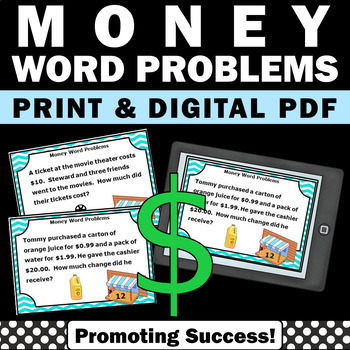 Elementary teachers will download 30 printable money word problems task cards for 4th grade, 5th grade and special education math students to practice solving real world money word problems with addition, subtraction, multiplication and division. 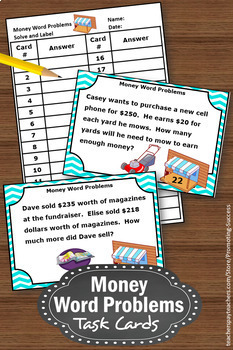 Ideas for money games and activities are included, such as a scavenger hunt or SCOOT. 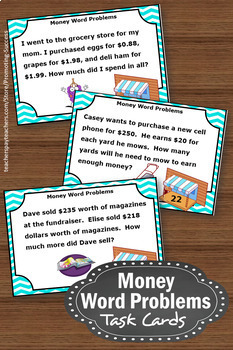 Use them in math centers or stations as a review, test prep, formative assessment or extra morning work practice. 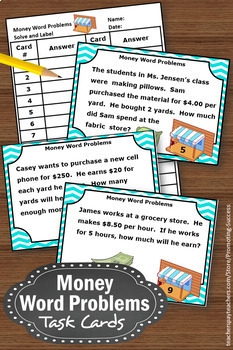 A student response form and answer key are included.